After the events of the Adventure Time™ finale, Marceline must help Simon make amends for his time as Ice King, leading them on quest to rescue Betty. Written by Marceline voice actress Olivia Olson! EVERYTHING STAYS, BUT IT STILL CHANGES… After surviving the aftermath of the Mushroom War and Simon’s time as Ice King, Marceline and Simon have finally reunited after the events of the Adventure Time™ finale. But when Simon’s memory begins to fail, Marcy must work together with Finn, Jake, and Princess Bubblegum to save Simon and help him in his quest to make amends for his time as Ice King. To do that, Simon sets out with one goal in mind: save Betty from Golb, by any means necessary! 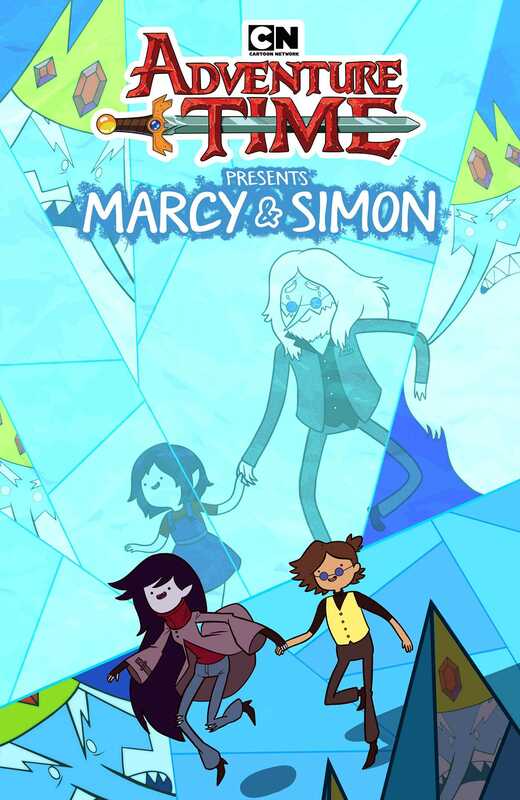 Join Adventure Time™’s Olivia Olson (Marceline, voice actress) and artist Simm Fabert (Lumberjanes) in the culmination of Marcy & Simon’s hundreds of years of history as they face their greatest challenge yet!